Fully Annotated Edition. 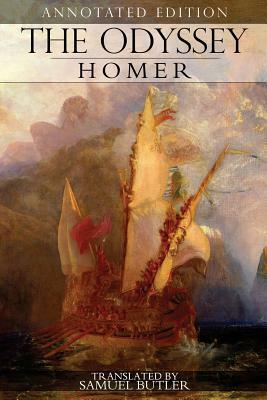 The Odyssey is one of two epic stories attributed to Homer. It centers on Greek hero Odysseus' journey home after the ten-year Trojan War. The adventures of his voyage include tales of love, war, and sensual bliss. Along the way, he must survive a shipwreck, the lure of the enchanting Sirens, the clutches of a Cyclops, and a battle with a group of devious suitors after his wife, Penelope.